North Korean leader Kim Jong Un inspects site for testing a “newly developed cutting-edge strategic weapon”, according to local media. North Korean leader Kim Jong Un inspected the site for testing a “newly developed cutting-edge strategic weapon”, South Korea’s Yonhap news agency reported on Thursday night, citing North Korean state media. North Korea’s Korean Central Television (KCTV) said that the weapon which Kim oversaw the testing of was “researched and developed for a long time”, and that the test was successful. Kim and US President Donald Trump held a historic summit in Singapore last June, during which they signed an agreement which includes a commitment to achieve total denuclearization of Korea, with promises to pursue “vigorous negotiations” to that end. US Secretary of State Mike Pompeo was supposed to meet with senior North Korean official Kim Yong Chol in New York last week to discuss North Korea’s denuclearization. 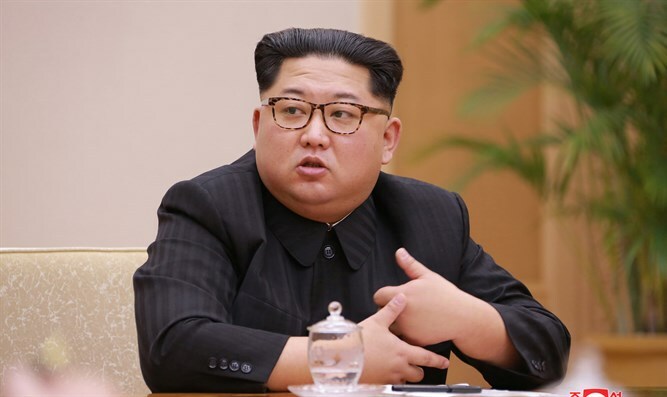 The meeting was later abruptly cancelled, however, and the US explained it was the North Korean side which postponed it because they were not ready. Reports of the latest North Korean testing came just hours after US Vice President Mike Pence said Trump and Kim will likely meet again in 2019, but insisted his government would not repeat past mistakes where "promises are broken." Speaking in Singapore and quoted by AFP, Pence insisted plans for the second meeting were still "ongoing". "We believe that the summit will likely occur after the 1st of the year but the when and the where of that is still being worked out," he told reporters. "We don't want to repeat the mistakes of prior administrations -- frankly both political parties have made over the last several decades -- where promises are made, sanctions are lifted and economic support comes and then promises are broken," he continued.